Collins Booksellers - Atlas of Ultrasound-Guided Musculoskeletal Injections by Gerard Malanga & Kenneth Mautner, 9780071772044. Buy this book online. Clear, concise description of more than 100 US-guided injections in musculoskeletal medicine. 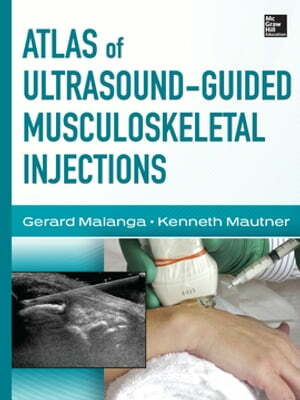 Atlas of Ultrasound-Guided Musculoskeletal Injections includes coverage of the full spectrum of procedures, ranging from basic US guided joint injections to perinerual injections, tenotomies, and surgical procedures such as percutaneous A1 pulley release, making the book the field's first true cornerstone text and the "go to" resource for any clinician interested in the subject.